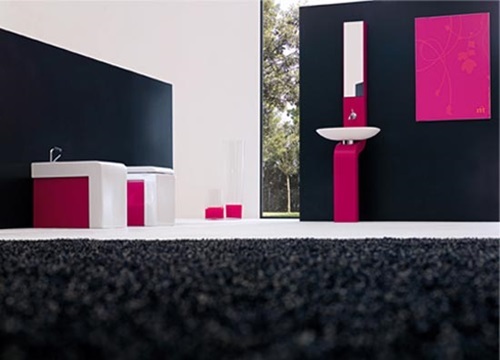 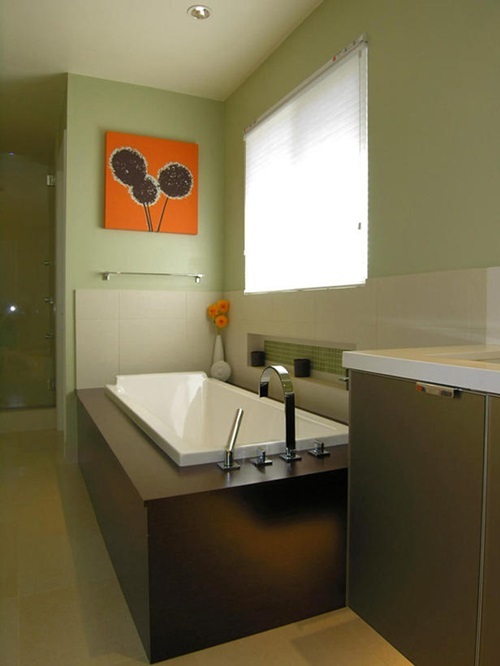 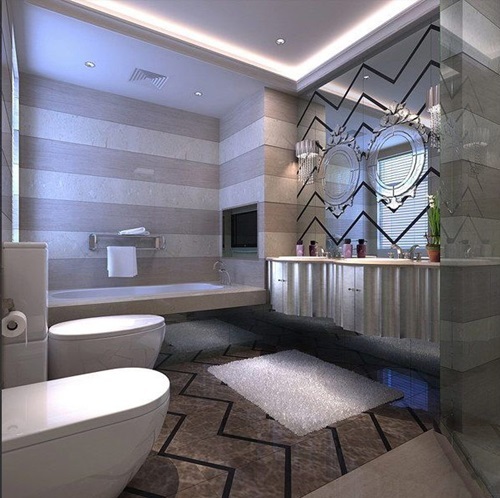 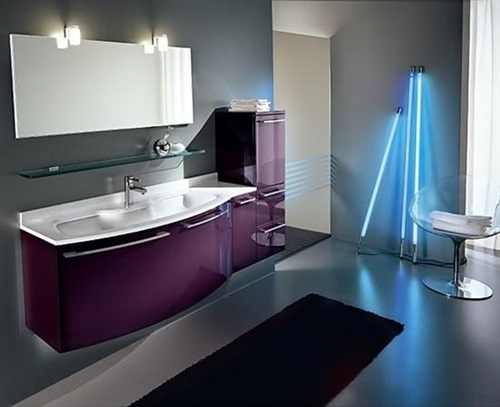 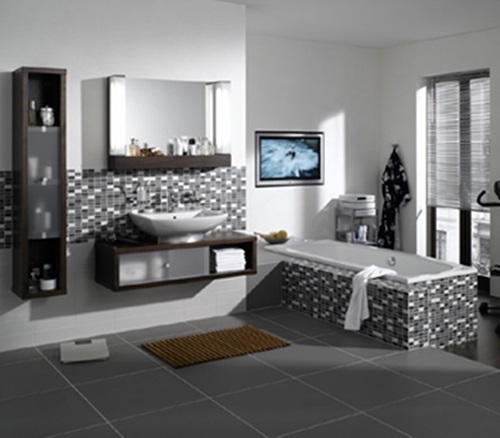 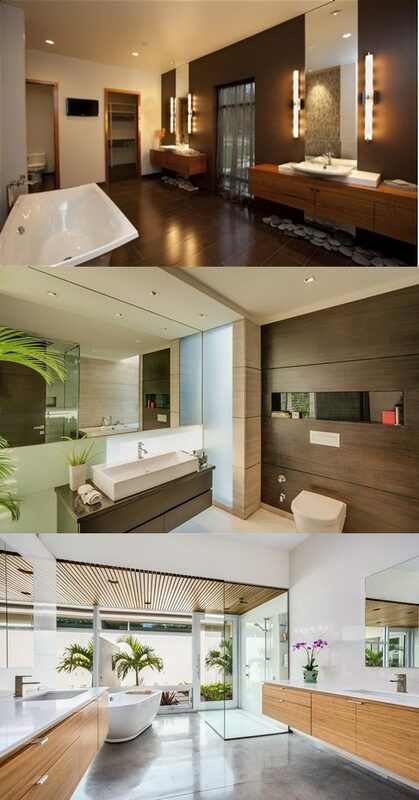 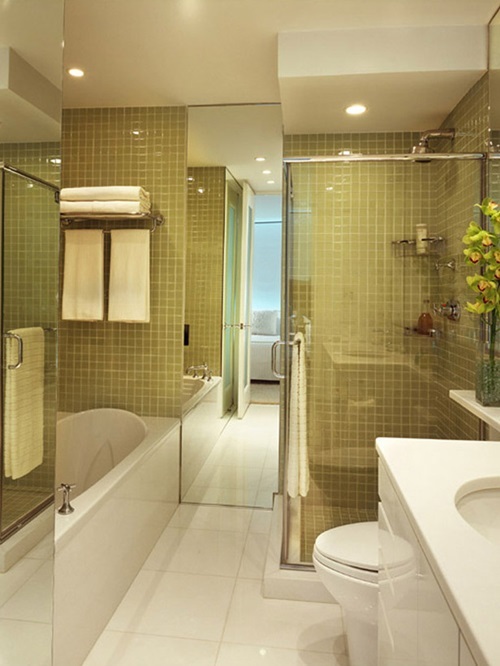 The modern Asian bathroom may have a cold Zen atmosphere or a natural look and both of them will provide you the needed relaxation and comfort. 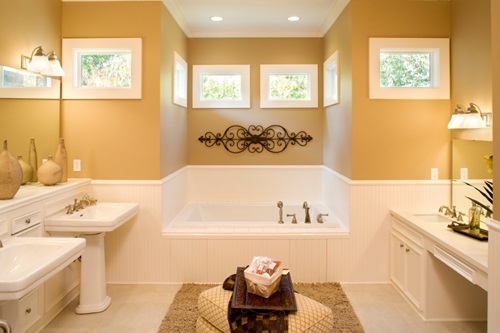 Your decoration will depend on the size and location of your bathroom to create a balanced look and functional place at the same time. 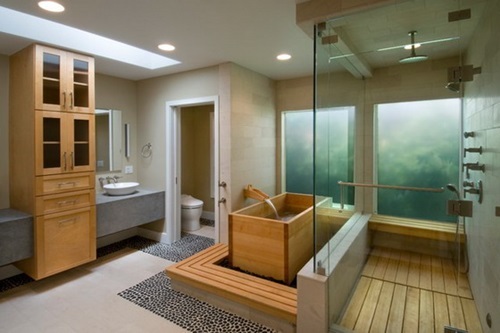 You can give your modern Asian bathroom a natural look using a glass shower area with a magical rain showerhead coming from a skylight or a window in the ceiling. 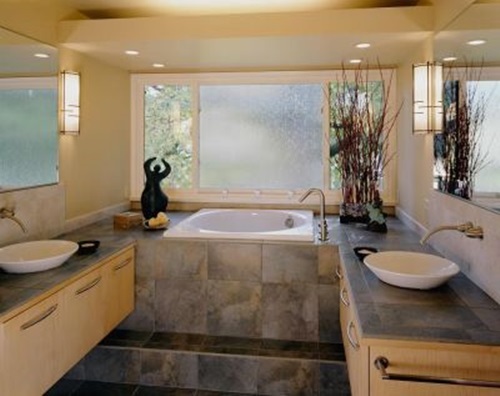 To give the place an outdoor look, you can place natural rock on the floor of the shower area with a few tropical plants beside the area. 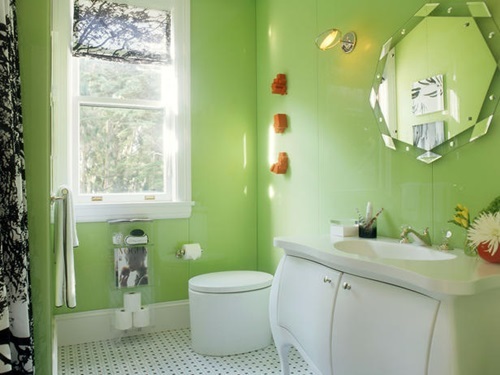 Such plants can decorate the shelves, the mirror, the shower wall, and even the floor according to the size of your bathroom. 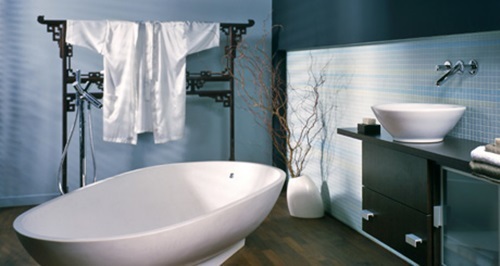 If you need more privacy in your Asian bathroom, you can replace the glass with a white shower curtain and ark wooden rods. 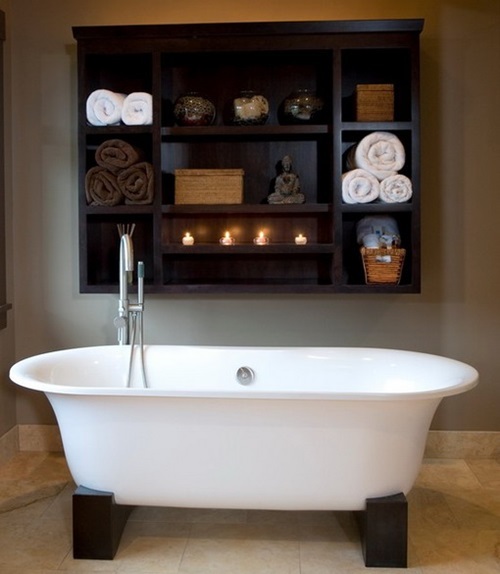 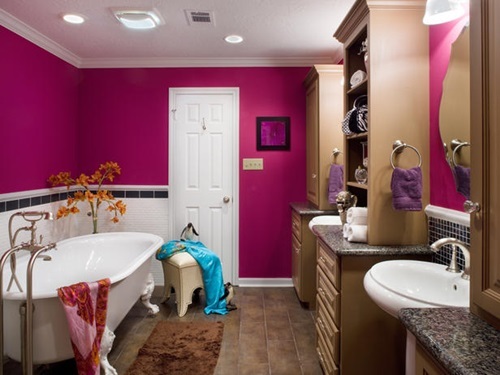 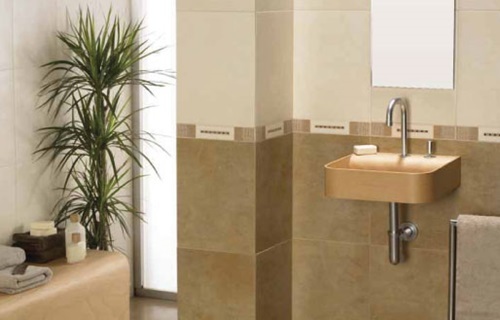 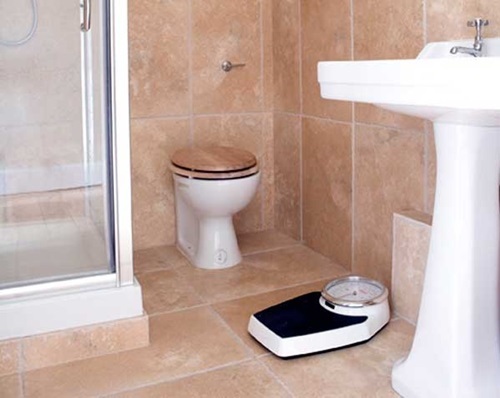 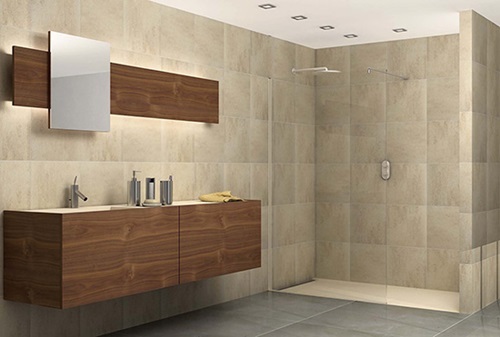 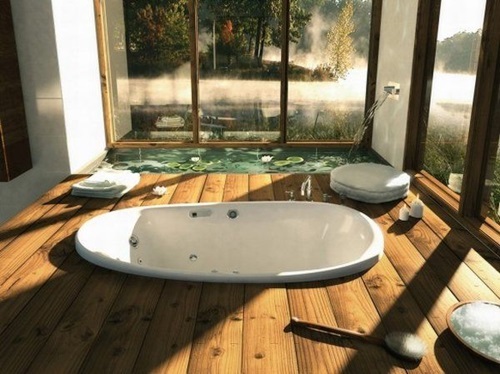 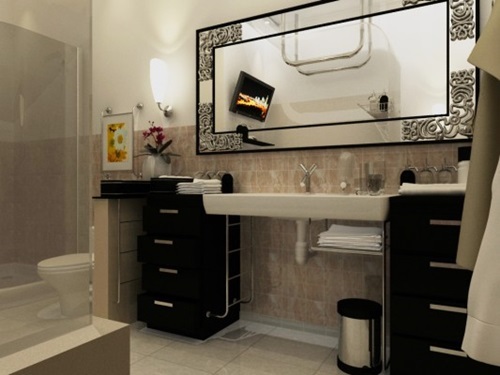 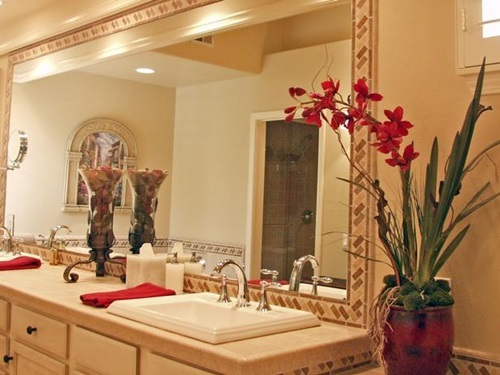 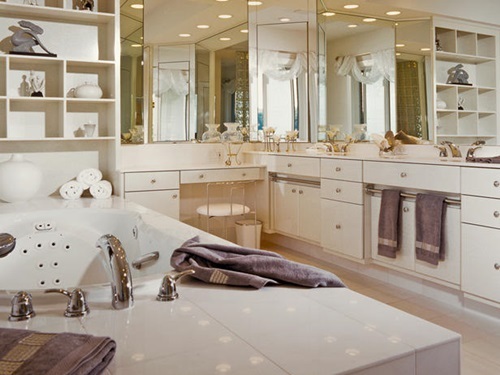 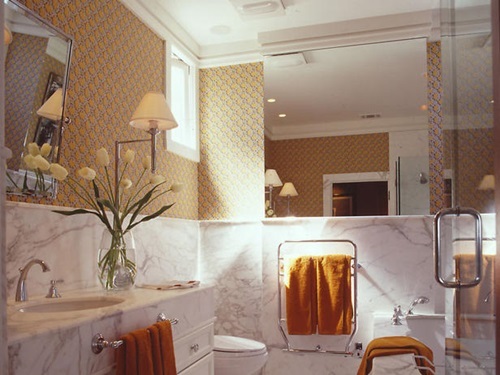 Decorating your bathroom with simple functional items will give it a relaxing Zen look. 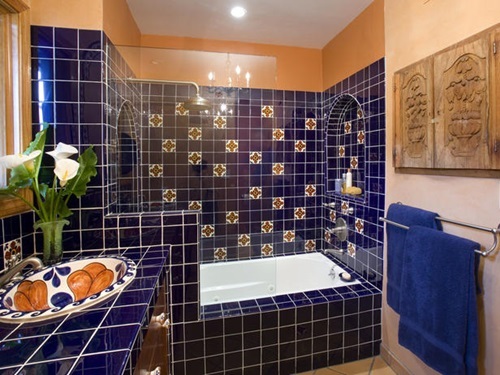 You can place a towel with a rich color on a hand-carved wooden stand near the door and try to hide the rest of your functional items to give the place a relaxing look. 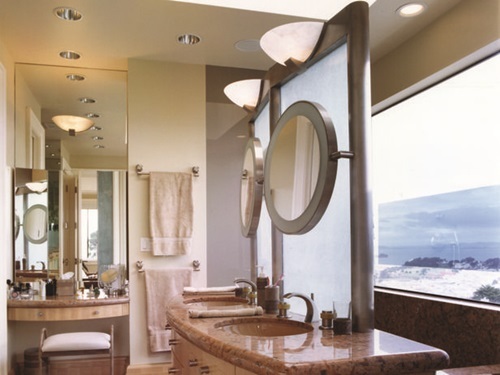 If you already have a large bathroom, you can add dark candleholders with rich colored candles in addition to earthy or tropical fragrances to feel as if you are in a real spa. 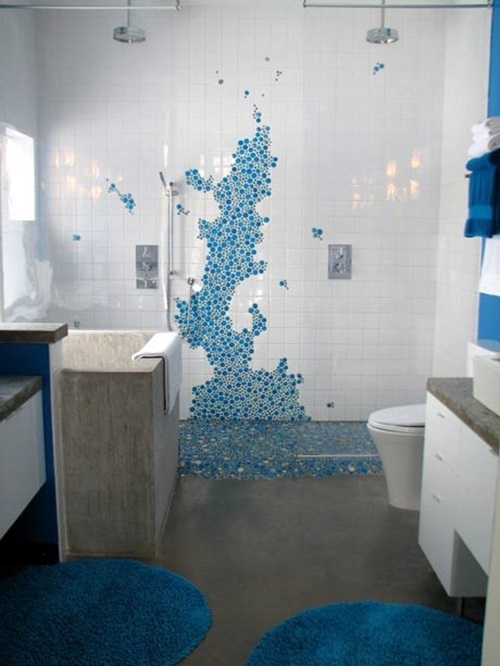 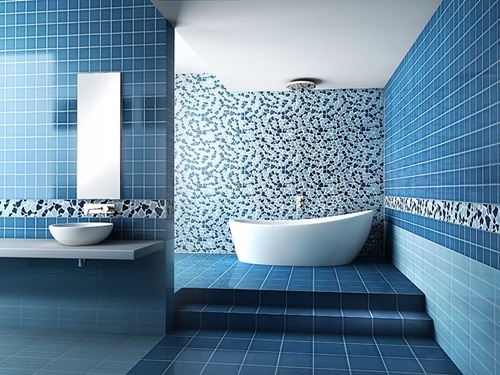 To give your Asian bathroom a romantic look, you can place royal blue or burgundy wallpaper made of sealed real Asian silk or ordinary wallpaper that resemble the printed Asian silk. 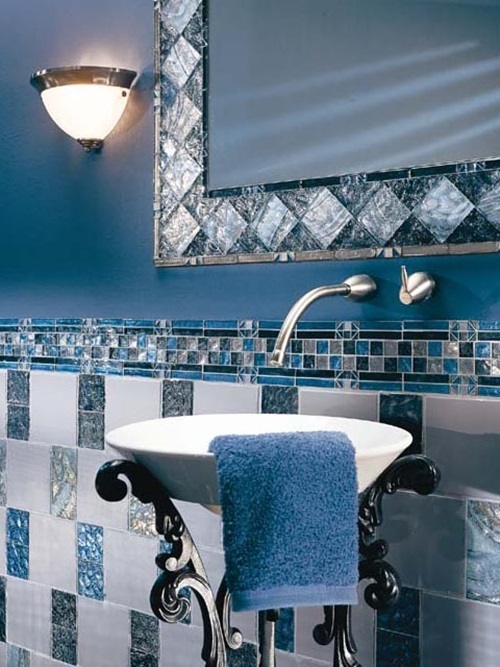 If you have a separate shower area, it will be a great idea to cover the floor of your modern Asian bathroom with a bath rug with Asian patterns or even silky shag bath rug.